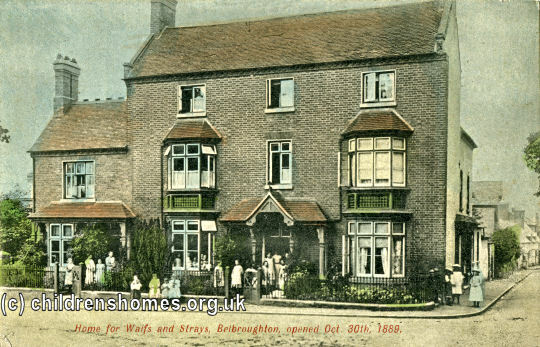 The Belbroughton Home for Girls was established by the Waifs and Strays Society in 1889 at Church Hill, Belbroughton, near Stourbridge. It was set up in the wake of the successful launch of the boys' home at Hanley Castle in the previous year. The Belbroughton home was officially opened on October 31st, 1889, by Viscountess Cobham. The home's limited space provided accommodation for 14 girls aged from 4 to 14. Its capacity was increased to 24 when the neighbouring property was leased in 1891. From 1903, the home was known as the All Saints' Home for Girls. By 1909, the home was in need of considerable repairs and funds were raised for these to be undertaken. However, it was decided to instead put the money towards the building of a new home which was opened at Clent. 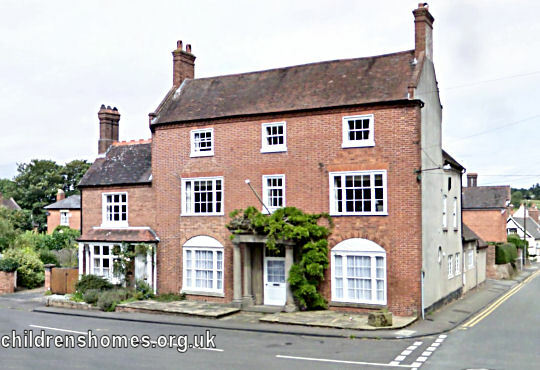 The Belbroughton home closed in 1910 and the residents moved to Clent. Former Belbroughton Home for Girls.